Someone who understand fashion trends will defiantly stock up on their floral dresses. 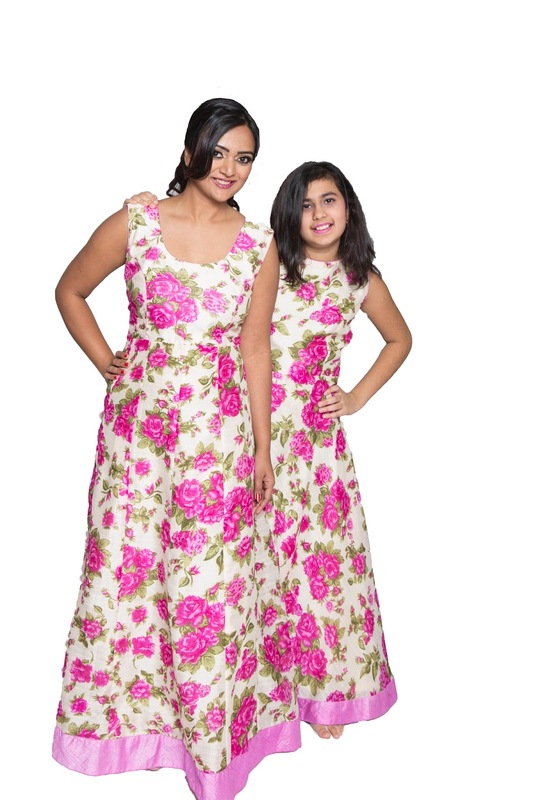 So right in time Glameve Fashion custom designed these fabulous floral maxi dresses. They are seattle-based online boutique store and you can check out their website here- www.glameve.com . Its a boutique store, which specializes in custom made outfits and they ship all over USA, Canada and India. 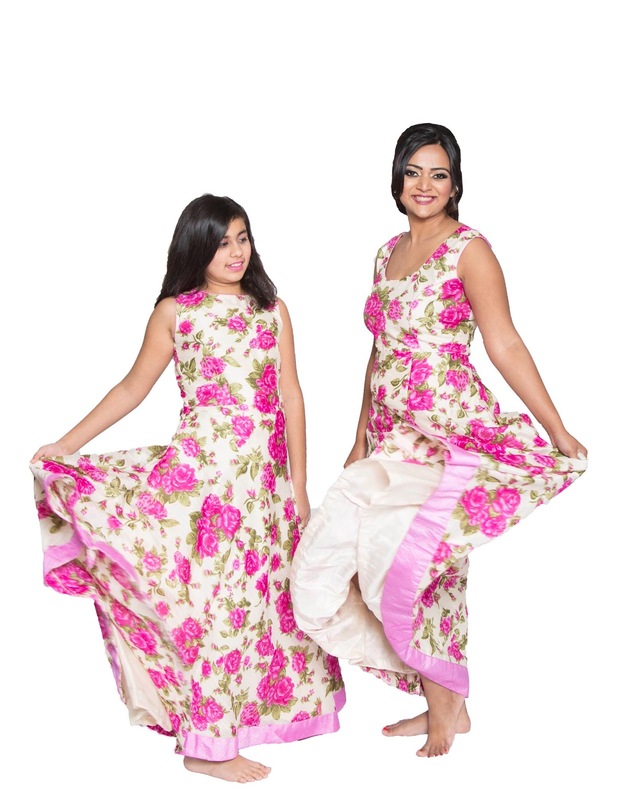 In addition to designer wear they also have a wide range of ready to ship items ranging from Sarees, gowns, lehenghas and accessories. They also provide consulting services and custom design options to individual customers so if you have any queries fell free to email them at support@ glameve.com. Taking you back to my college days that was a decade ago, me and my two girlfriends always loved dressing up in similar clothes. Yes you might think thats a bit chessy but for us it was a daily routine every evening one of us would pick a color for the next day. We would try to get dressed in the same color or at least wear something similar. We used to buy the exact same college bags and wallets. Sometimes we picked the wrong bag after the classes. It was so fun. I like wearing the exact same dresses like I did for this shoot. I absolutely like the idea of buying same clothes for sisters or best friends. You did see the beautiful gowns for the mom-to-be and her first daughter in the last post. I love this phase of time where indo-western dresses are so in. The advantage being I can buy one dress and use it for all kinds of occasions, so its a good investment. 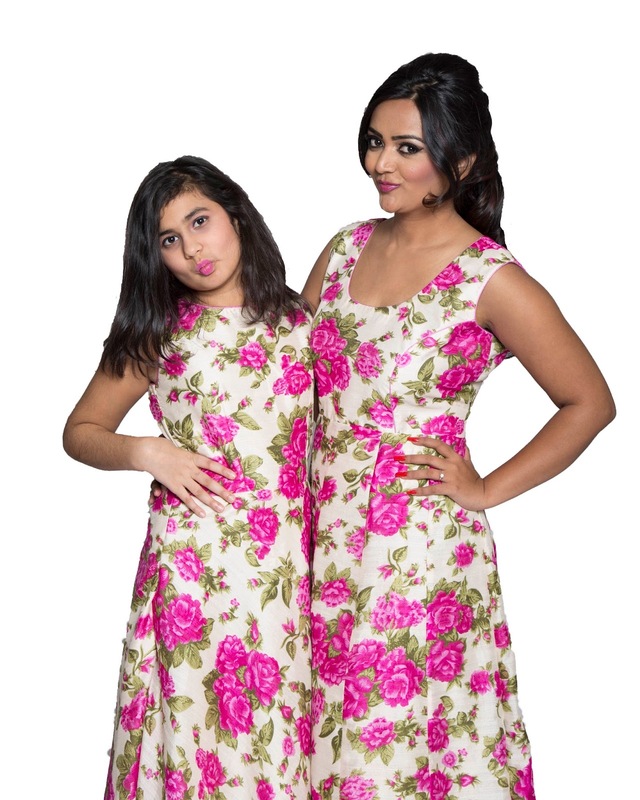 These floral dresses are exactly what I am talking about. 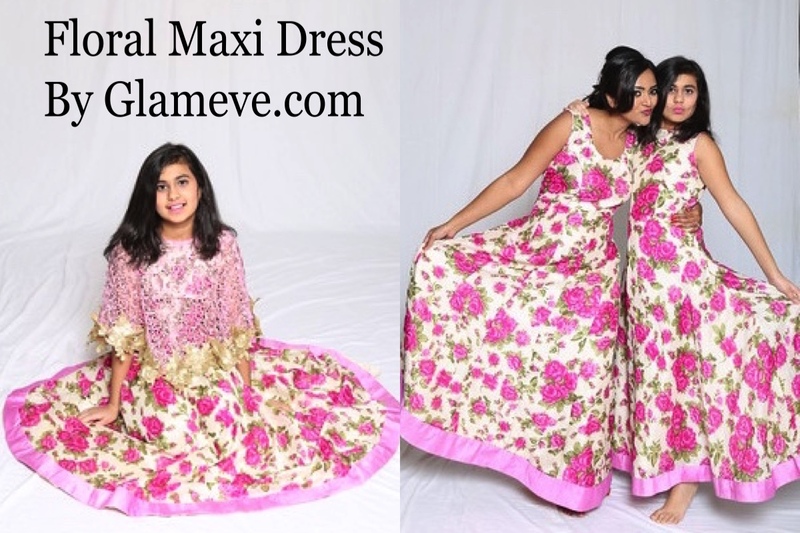 These are maxi dresses but with an indo-western flare to them so they are perfect for your cocktail parties and also indian functions. The dresses are fitted till the waistline and then spread out to add more volume to the skirt. I think the color combination of pink and white looks pretty and suits most age groups. 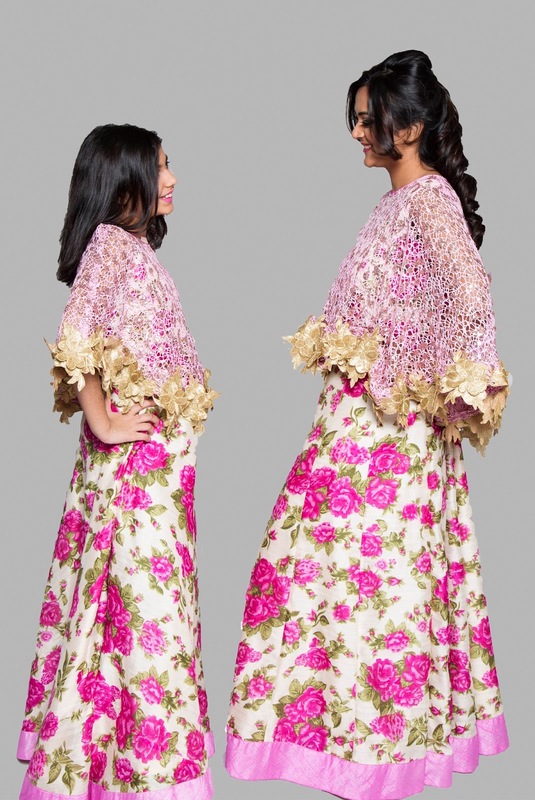 The knitted poncho with floral lace detailing adds an element of elegance and also is a stylish way to keep warm in cooler weather. From the pictures you can tell how much fun I had in this shoot. The dresses made me twirl and move. It was refreshing to wear these prints and colors. If you like it as much as I do. Then the good news is Glameve Fashion is offering a 20% off coupon to all Ananya Tales readers. 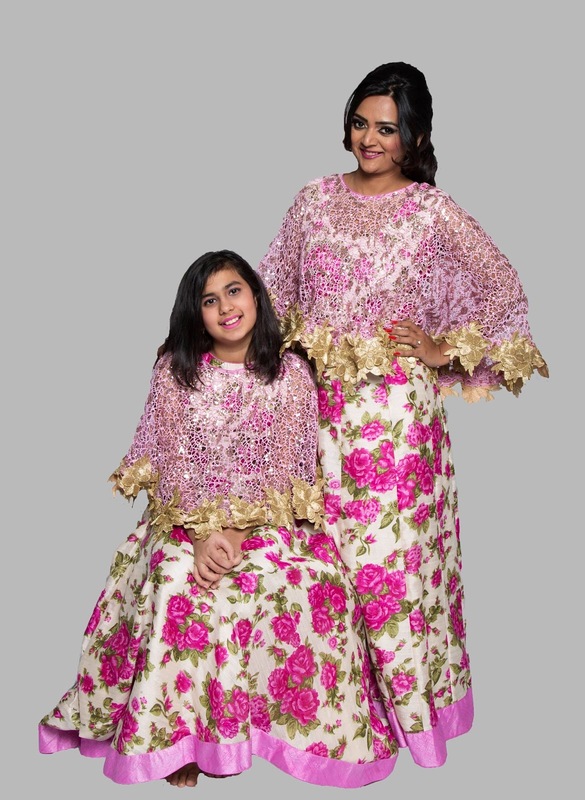 Please do take a look at their website, if you know of anyone who is interested in ethnic fashion please do spread the word and share the coupon. The coupon code is SPECIAL20. You both look amazing. Have a great weekend. Hi Ananya, the dress is so so pretty. Floral is so in and it's just perfect for summer. Those dresses are really gorgeous! You both look so pretty! 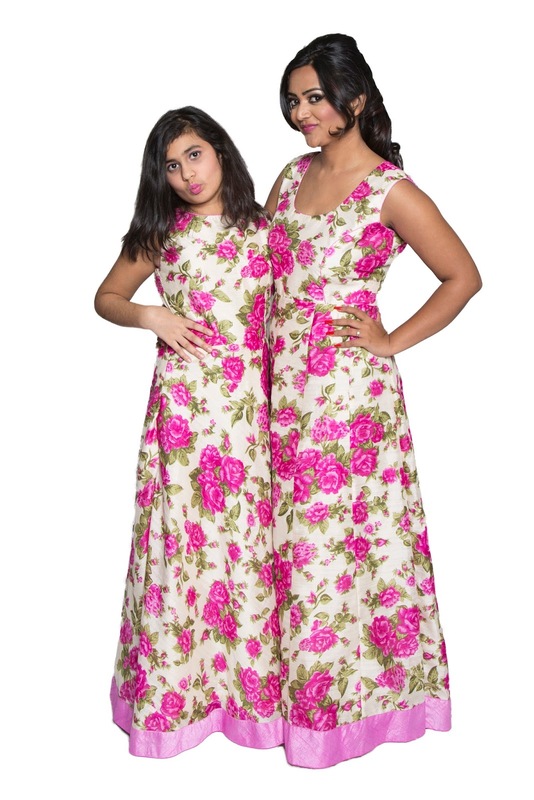 I love floral...n the concept of matching dresses is too cute. If i get married then i will surely recommend this to my wife. Lovin the color as well. really so lovely to see and look in this dress ...... colour is so prety. Omg! You look so beautiful! The matching outfits are too cute!